Wellingtonians – here's the second of 3 to warm up the middle of the year. We promise we will front bench the blues at the Backbencher. You can either make a dinner booking to secure a table or just show up and have drinks and grab a table as you can, $15 on the door to pay the band. So if you feel in need of some warm-hearted blues, some stonkingly good playing, and a touch of sass in bling, come down the Backbencher for some Back Porch time. 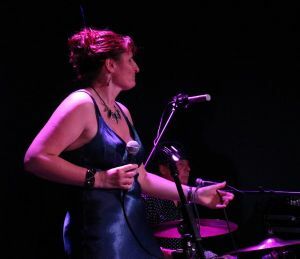 Laura Collins and the Back Porch Blues Band, 8.30-10.30pm, book for dinner online at http://backbencher.co.nz or by phone on 04 472 3065. $15 on the door.